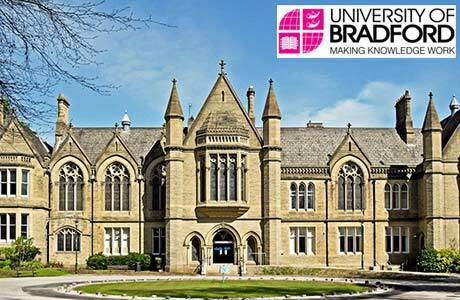 University of Bradford,UK offers Half Fee Academic Excellence Scholarships to International Students 2014/15 except students from China, South Korea, Japan and the EU (students from these countries have separate scholarships schemes). > Country equivalent of AAA at A-level will result in a £2,500 fee scholarship. The scholarship will be paid in subsequent years if progressing with an average of 60% or above. Students from one of the countries eligible for the Country Specific Scholarship will receive a £3,000 fee scholarship. > Country equivalent of 2:1 at degree-level will result in a £2,500 fee scholarship. Students from one of the countries eligible for the Country Specific Scholarship will receive a £3,000 fee scholarship. > Country equivalent of first-class Honours at degree-level will result in a £3,000 fee scholarship. Students from one of the countries eligible for the Country Specific Scholarship will receive a £3,500 fee scholarship.